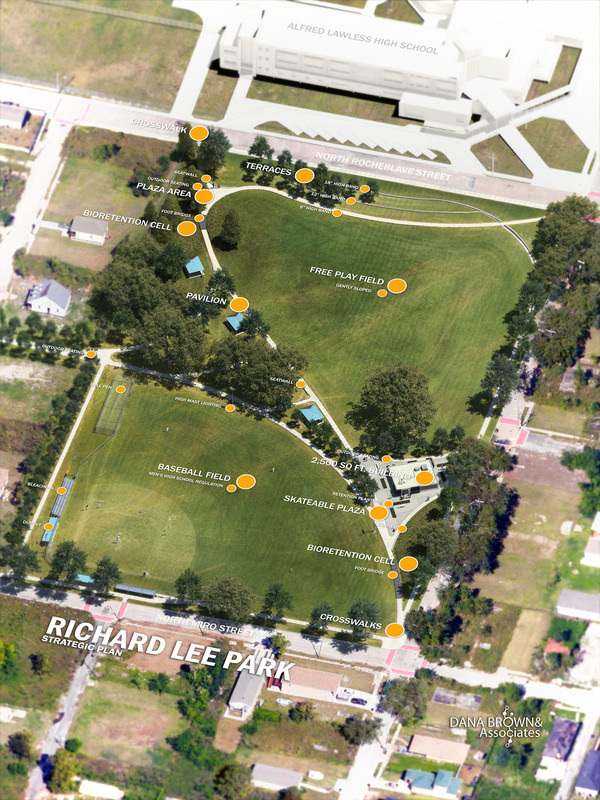 Richard Lee Park is an 8-acre parcel that once housed a public elementary school and park in the Lower Ninth Ward of New Orleans, Louisiana. 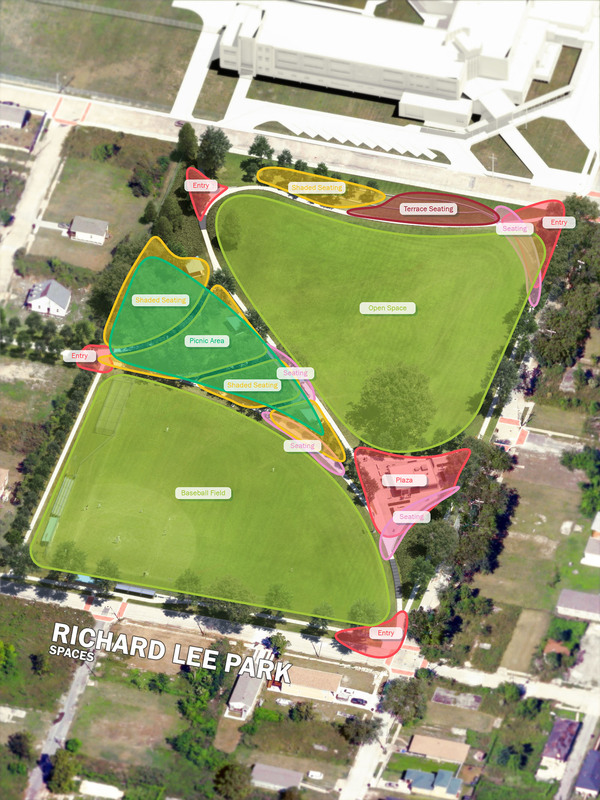 Dana Brown & Associates designed the park master plan based on the needs of the community that are not yet met in parks around the neighborhood. 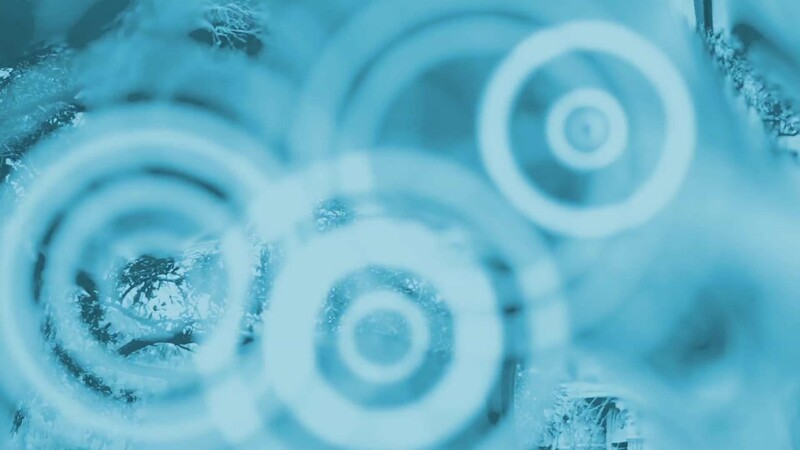 The Park takes on an important role for the community as a space that provides equal opportunities for active and passive recreation in response to the abundance of actively programmed playgrounds in the surrounding area. Park features include a baseball field, large picnic pavilions, a new 2,500 square foot building containing restrooms, concessions, and equipment storage, a skate board friendly plaza designed to withstand heavy use, bioswales, paved trails all throughout the Park, and a terraced lawn to be used for events, while creating an area for shaded seating. 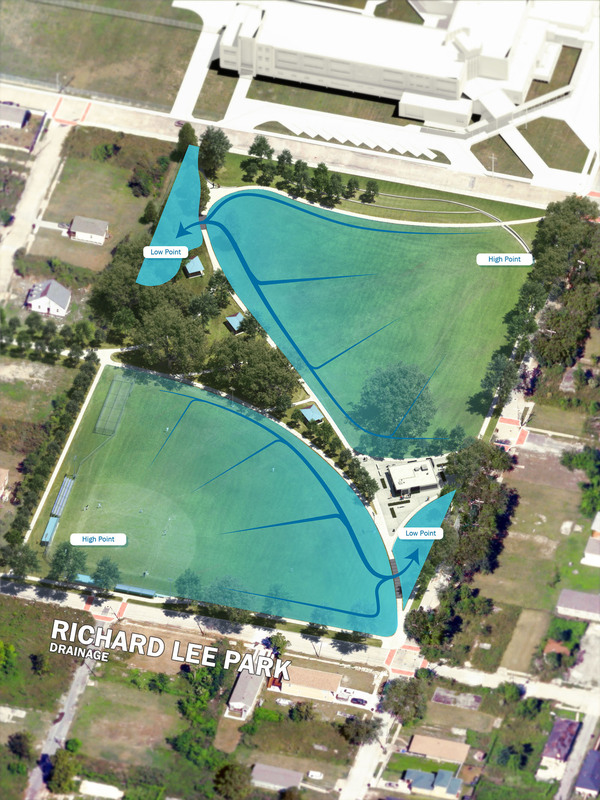 The Park was specifically designed for all age demographics within the Lower Ninth Ward and will grow as an asset by providing space to increase recreation in the community.